…and it’s blind adherents: “Social Justice” is essentially Jihad for “Progressive” warriors, and Political Correctness is the Sharia Law they wish to impose on everybody. They act open-minded but are so far from it that it’s like a self-illuminated Möbius loop infinitely turning in a collapsing neutrino – the gravity is so immensely dense no light can escape, just as no light can be shed upon the blankness and emptiness of their still-born thoughts. Walkers in self-imposed condition white. Pointing to a mysteriously well-financed and well-organized campaign of protest, Romanian officials including the prime minister say that the struggle over fracking in Europe does feature a Goliath, but it is the Russian company Gazprom, not the American Chevron. Gazprom, a state-controlled energy giant, has a clear interest in preventing countries dependent on Russian natural gas from developing their own alternative supplies of energy, they say, preserving a lucrative market for itself — and a potent foreign policy tool for the Kremlin. “Everything that has gone wrong is from Gazprom,” Mr. Mircia said. This belief that Russia is fueling the protests, shared by officials in Lithuania, where Chevron also ran into a wave of unusually fervent protests and then decided to pull out, has not yet been backed up by any clear proof. And (of course) Gazprom has denied accusations that it has bankrolled anti-fracking protests. But circumstantial evidence, plus large dollops of Cold War-style suspicion, have added to mounting alarm over covert Russian meddling to block threats to its energy stranglehold on Europe. Before stepping down in September as NATO’s secretary general, Anders Fogh Rasmussen gave voice to this alarm with remarks in London that pointed a finger at Russia and infuriated environmentalists. To repeat Borepatch: Motive and opportunity, as they say. And a history of using “social justice” organizations in the West. 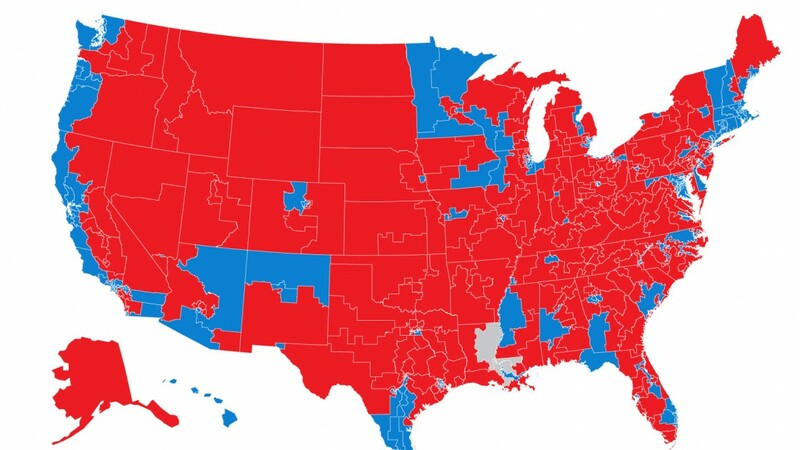 Shades of all the damn-stupid years, and of the damn-stupid protestors during the REAL Cold-War. Shades all the mis-information and dis-information, all of it swallowed up and regurgitated like last night’s drunken Stanford-Harvard kegger Frat-party – by a bunch of intellectual barf-bags, blown into the gutters and minds of the perpetual lazy undergraduate of America by half-wit Grad Students and Academic Useful Idiots. It’s wet out there and cold. It makes me look forward to the heat we had this summer. The weather just IS, it is the definition of what “is”, is. Heat can kill, and cold can kill too, and rain can wash-away dreams – we have to care about it to secure our lives and property, not the other way around. In an early effort to scare children during the Cold War of the mid 60’s we were taught that an Ice Age was coming and New York City would be buried under a 100-foot sheet of icy death – not sure what they thought would happen to Arizona, but I remember reading a book about it. Later during the 70’s eruption of the Tree-Hugger community and the advent of “Earth Day” worship, a fabulistic movie came out about pesticides and the upcoming Empire of the Insects. Ecoweenies worship Nature, but somehow forget about the, “Red in tooth and claw” part. Selective memory and selective learning at work. For the ecological-driven Left the “Red” they’re talking about is Marx and Mao – and again they forget about the “tooth and claw” because in their shuttered lives and minds The Gulag they always build isn’t for THEM, it’s for the non-believers. So few remember (or are even taught) the lessons of the bloody French Revolution that consumed both Aristocrat and Peasant and Bourgeoisie alike. So few even know that manufactured offenses were used to keep the Gulag Factories running at full tilt because it was the only operational and productive part remaining out of the whole 50-year Soviet lab-rat experiment is Socialist Economy. UPDATE: some revisions to paragraphs, etc. The treachery of the Media as displayed in their eager coverage of the Ferguson riots and the ongoing blatant misrepresentation of Thug Brown as a youthful Choir Boy is really depressing, especially with the constant shift to blaming “Race” instead of blaming the awful destruction wrought by 50-years of the so-called Great Society. The Media really must let go of their shameful past and false idols and come to grips with their own inadequacy, fears, and responsibility. But that would be asking a scorpion to be something other than a scorpion. ABC News President Ben Sherwood’s sister, Dr. Elizabeth Sherwood-Randall, is the Special Assistant to Barack Obama. CBS News President David Rhodes’ brother Ben is Obama’s Deputy National Security Advisor for Strategic Communication. NBC News senior political editor Mark Murray is married to former CNN reporter Sasha Johnson is an Obama’s former DOT Public Affairs Director, and is now chief of staff at the FAA. CNN deputy bureau chief Virginia Moseley’s husband, Tom Nides, is the Deputy Secretary of State for Management and Resources. I already posted about my misadventures across The Wall here, and here, it was one of the critical things I had to get off my chest as I began blogging and critiquing the utterly abject and constant failures of Socialism/Communism/Fascism. If there’s one aspect of that nasty nexus of bad-brain stupidity and irredeemably toxic philosophy, besides being two sides of the same lousy coin, it’s the repetition of Failure built upon Failure. I’m glad it fell. Free Health Insurance? HA! They were laboratory guinea pigs: Look what ruined lives their Olympic “Athletes” led. The Left unhesitatingly uses people as lab-animals to achieve a thin veneer of credibility, and the Socialist Medal Machine was no slouch. Bastards. I’m glad it’s gone. Besides twisting and ruining the bodies of its own athletic corps, it twisted and distorted the landscape around it. Like a heavy-gravity neutrino spitting-out cancerous lesions, it altered and crushed the relationships of people both within the Sphere of Influence and without, and laid waste to the countryside planted with mines and machine-guns. My German friends who were free on the outside were still tethered by a chain of Family to a hideous, barnacle-encrusted, red floating-mine that always seemed ready to explode. Their freedoms were warped and exaggerated in dimension to the un-freedoms of the hapless residents within – and oftentimes I thought it played a part in the reckless wanton hedonism I saw exhibited among my peers. The two Polish kids who were favored Diplomats’ Apparatchik children in India behaved in the most bizarre social manner too, nearly always drunk and aggressively selfish, they chain-smoked and gambled at the racetrack as if they could lose everything at any moment – and I suppose they could. They also stole things, and then had the gall to brag about it, so after a visit you could reasonably expect that sometime was missing. A wristwatch, a pack of smokes, a lighter, a fork. Something-anything. Another hidden aspect of jealousy-driven Communism: no real satisfaction in things whatsoever, just temporary trophies and sad triumphalism – all was ennui. …you get flash-floods. Feast or famine. Hope you guys way up in Sierraville and also down in the Southland are OK. Maybe one day this state will have a water policy that’s intelligent rather than political,, but ever since the FIRST days of Olde-Californy when the “ditch-tenders” sold water to the get-rich wealthy miners, farmers couldn’t afford it and agriculture had to wait – the supply and demand situation has always been about mo’ money. A Walter Russell Mead Blog post Via Meadia in The American Interest takes New York to task for Blue-model social policies that exact a high price to live in that hell-hole, but it might as well be written about San Francisco and the Bay Area. The low and middle classes are being priced out of a life in New York City. Even as many residents spend fifty percent or more of their earnings on housing, the majority of the city’s “affordable homes” are still out of reach. House prices and rent have risen by more than forty percent since 2001, and landlords, betting on gentrification, are evicting existing tenants in favor of wealthier ones. The upside-down flag is an unofficial symbol of distress, an SOS. It’s also a symbol of America itself turned upside down. It’s a statement that projects confidence, defiance, and vigorous defense of one’s rights. But, as noble as this declaration may be, it’s not wholly true. Because a sufficiently painful harassment, or a sufficiently grave threat, will in fact silence those who would otherwise enter the public square. Two people have already been silenced. One man has been arrested — arrested, for blogging about the criminal history of Brett Kimberlin, and for describing his ongoing ordeal at Kimberlin’s hands. Unless Congress acts — and acts swiftly — there will be still further innocent citizens subjected to Brett Kimberlin’s lawless vigilantism. Brett Kimberlin does not want people writing about his past — a past that includes convictions for serial bombing, drug smuggling, perjury, and even impersonating a member of the military. MAYDAY! MAYDAY! MAYDAY! is an alarm that is sounded when your ship is in gravest danger – and that applies equally to your society. Today is the fourth annual Victims of Communism Day, a day to remember the people murdered by their own governments in their quest to achieve a “worker’s paradise” where everyone is equal, where “to each according to his needs, from each according to his abilities” is the beautiful dream lie. 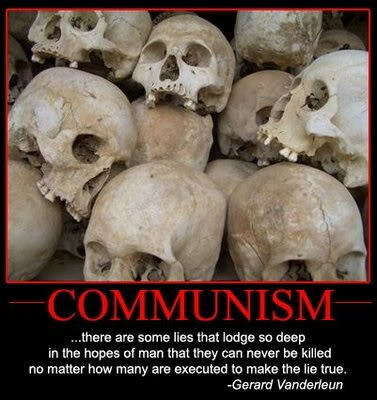 R.J. Rummel, Professor Emeritus of Political Science at the University of Hawaii, has calculated that the total number of victims of Communism – that is, the domestic victims of their own governments – in the USSR, China, Vietnam, North Korea and Cambodia is 98.4 million people. For all Communist governments during the 20th Century, he puts the estimate at approximately 110 million. And this wasn’t in warfare against other nations, this was what these governments did to their own people – “breaking eggs” to make their utopian omelet. Six million Jews were murdered by Nazis during the Holocaust, and another six million people who the Nazis decided were simply “undesirable” went with them. “Never again” is the motto of the modern Jew, and many others just as dedicated. But “again and again and again” seems to be the rebuke of history. Communists are hardly alone in these crimes. Rummel estimates that the total number of people murdered by their own governments during the 20th Century is on the close order of 262 million, but the single biggest chunk of that truly frightening number is directly due to one pernicious idea: That we can make people better.